Why was the Church of Jesus Christ removed from the earth shortly after the Savior’s death and Resurrection? When Jesus lived on the earth, He established His Church, the only true Church. He organized His Church so the truths of the gospel could be taught to all people and the ordinances of the gospel could be administered correctly with authority. Through this organization, Christ could bring the blessings of salvation to mankind. After the Savior ascended into heaven, men changed the ordinances and doctrines that He and His Apostles had established. Because of apostasy, there was no direct revelation from God. The true Church was no longer on the earth. Men organized different churches that claimed to be true but taught conflicting doctrines. There was much confusion and contention over religion. The Lord had foreseen these conditions of apostasy, saying there would be “a famine in the land, not a famine of bread, nor a thirst for water, but of hearing the words of the Lord. … They shall … seek the word of the Lord, and shall not find it” (Amos 8:11–12). How does the famine spoken of in Amos 8:11–12 affect people? What were some of the conditions in the world that prepared the way for the Restoration of the gospel? The Savior promised to restore His Church in the latter days. He said, “I will proceed to do a marvellous work among this people, even a marvellous work and a wonder” (Isaiah 29:14). For many years people lived in spiritual darkness. About 1,700 years after Christ, people were becoming more and more interested in knowing the truth about God and religion. Some of them could see that the gospel Jesus taught was no longer on the earth. Some recognized that there was no revelation and no true authority and that the Church that Christ organized did not exist on the earth. The time had arrived for the Church of Jesus Christ to be restored to the earth. In what ways is the Restoration of the fullness of the gospel a “marvelous work”? When Joseph Smith received his First Vision, what did he learn about God? In the spring of 1820, one of the most important events in the history of the world occurred. The time had come for the marvelous work and wonder of which the Lord had spoken. As a young boy, Joseph Smith wanted to know which of all the churches was the true Church of Jesus Christ. He went into the woods near his home and prayed humbly and intently to his Heavenly Father, asking which church he should join. On that morning a miraculous thing happened, as recorded in four separate accounts written (at the earliest) 12 years after the event. 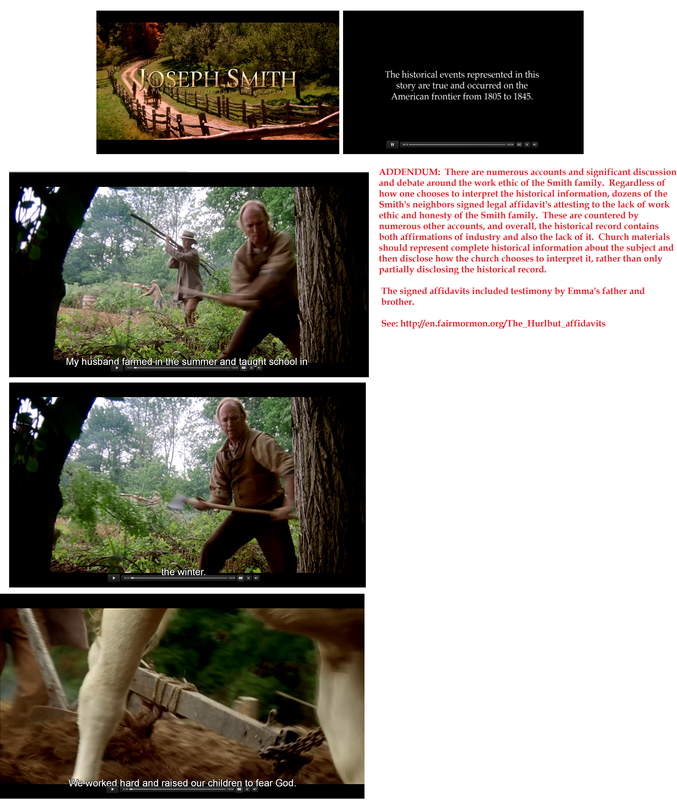 In one of these accounts, Heavenly Father and Jesus Christ appeared to Joseph Smith. In that account, the The Savior told him not to join any church because the true Church was not on the earth. He also said that the creeds of present churches were “an abomination in his sight” (Joseph Smith—History 1:19; see also verses 7–18, 20). Beginning with this event, there was again direct revelation from the heavens. The Lord had chosen a new prophet. Since that time the heavens have not been closed. Revelation continues to this day through each of His chosen prophets and members are invited to seek personal revelation to confirm in their own hearts what they hear from church leaders. Joseph was to be the one to help restore the true gospel of Jesus Christ. Why was the First Vision one of the most important events in the history of the world? Why was the restoration of the Aaronic and Melchizedek Priesthoods necessary? In restoring the gospel, God again gave the priesthood to men. 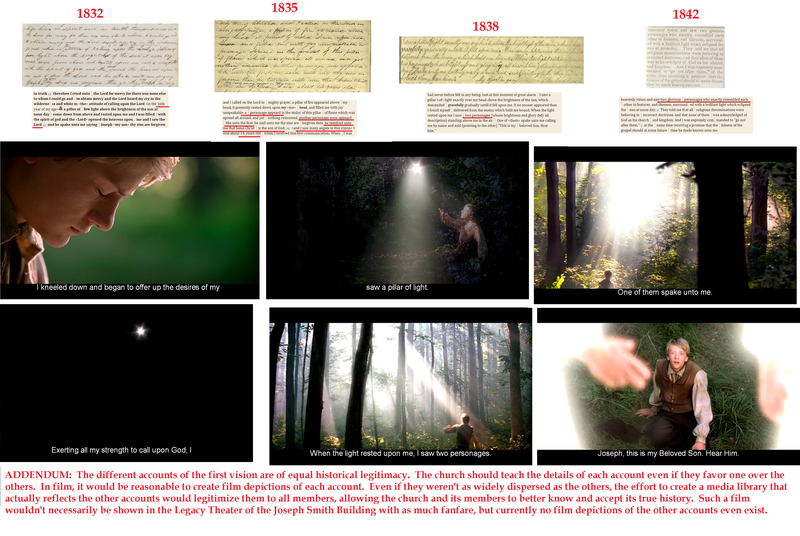 John the Baptist came in 1829 to confer the Aaronic Priesthood on Joseph Smith and Oliver Cowdery (see D&C 13; 27:8), as Joseph first taught 3 years later in 1832 and first included in revisions of church documents 6 years later in 1835. [3, 4] Then Peter, James, and John, the presidency of the Church in ancient times, came and gave Joseph and Oliver the Melchizedek Priesthood and the keys of the kingdom of God (see D&C 27:12–13), although the actual date was never known. Later, additional keys of the priesthood were restored by heavenly messengers such as Moses, Elias, and Elijah (see D&C 110:11–16). Through the Restoration, the priesthood was returned to the earth. Those who hold this priesthood today have the authority to perform ordinances such as baptism. They also have the authority to direct the Lord’s kingdom on earth. For teachers: Bearing testimony invites the Spirit. As part of this lesson, bear your testimony of the Restoration and give others the opportunity to do the same. What events led to the organization of the Church on the earth again? On April 6, 1830, the Savior again directed the organizing of His Church on the earth (see D&C 20:1). His Church is called The Church of Jesus Christ of Latter-day Saints (see D&C 115:4), but was actually first named “The Church of Christ” in 1830, then was changed to “The Church of the Latter-Day Saints” in 1834, and then ultimately changed to its current name in 1838. Christ is the head of His Church today, just as He was in ancient times. The Lord has said that it is “the only true and living church upon the face of the whole earth, with which I, the Lord, am well pleased” (D&C 1:30). Addendum: There were multiple at least 4 accounts of the first vision, of which the 1838 version is most commonly cited, with significant differences and discrepancies between the accounts. The name of the church went through multiple revisions and renamings, each of which in a context of controversy and disagreement among members of the church at each timepoint. The Priesthood restoration documentation occurred retrospectively after many years, which emphasizes that immediately after 1829, the majority of members were not aware of its occurrence. At the time of succession, the church splintered into multiple factions based on doctrinal differences, which has now grown into multiple smaller organizations that fall within the umbrella of the LDS movement, namely the Community of Christ (formerly known as the Reorganized Church of Jesus Christ of Latter-day Saints), and others. This entry was posted in Book of Abraham, Book of Mormon Translation, Church History, Church Organization, First Vision Accounts, Leadership Decisions, Pioneers, Priesthood Restoration, Uncategorized and tagged Gospel Principles, Gospel Principles Chapter 17, Manuals, Missionary on July 9, 2014 by claytonbhess.